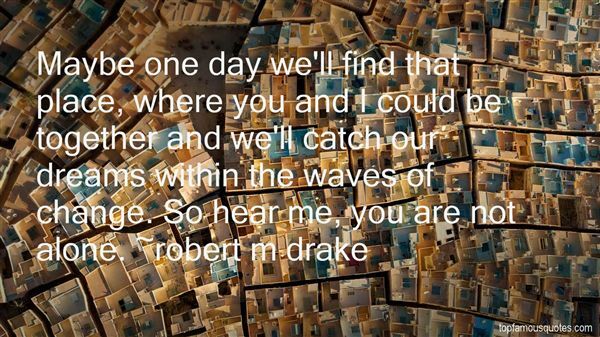 Reading and share top 50 Robert M Drake famous quotes and sayings. Browse top 50 most favorite famous quotes and sayings by Robert M Drake. Religion has always been an irrelevant aspect if my life. The people here are either pissed of atheists, or religious freaks waiting for God to save them." What Did Robert M Drake Talk About?